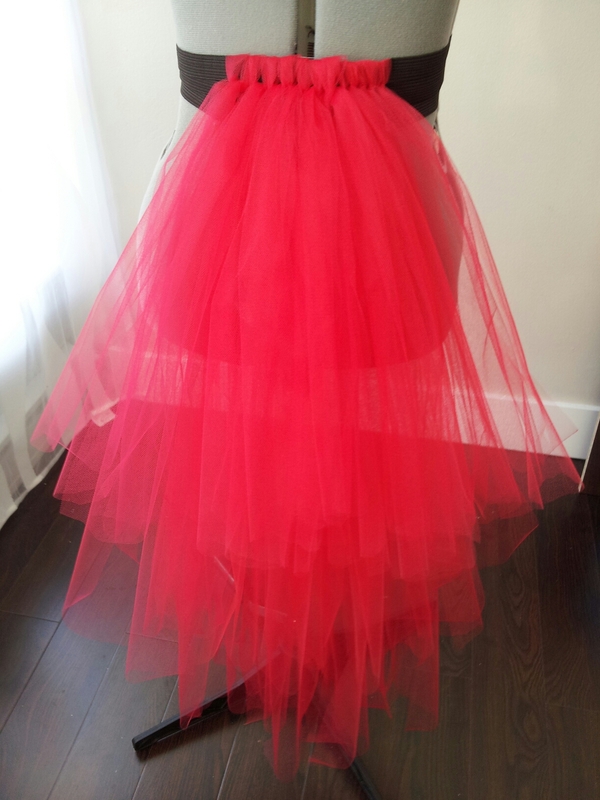 My first encounter or should I say tulle related project. I was commissioned by a friend to make a bustle. 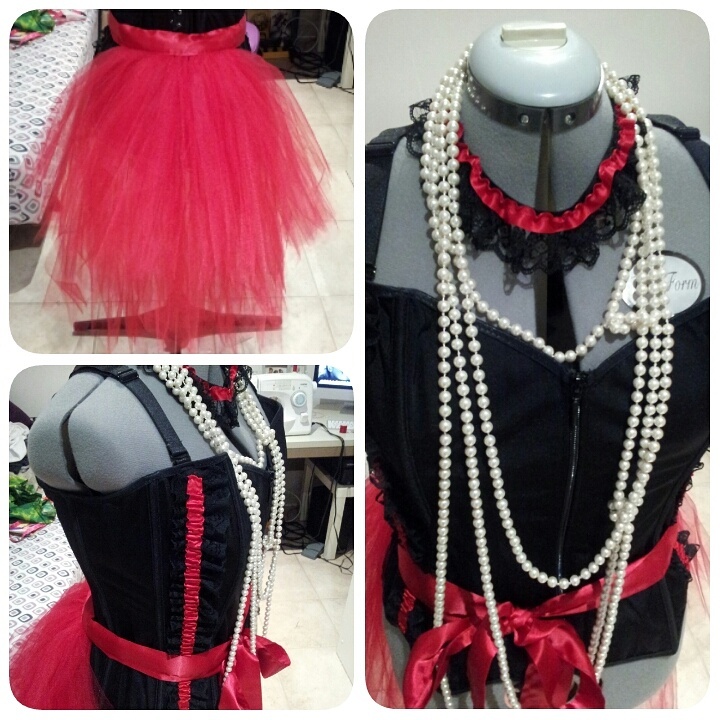 This bustle will be part of a birthday party Burlesque theme. The Birthday girl is really hoping to make a statement of her fabulousness as well as fierce side. 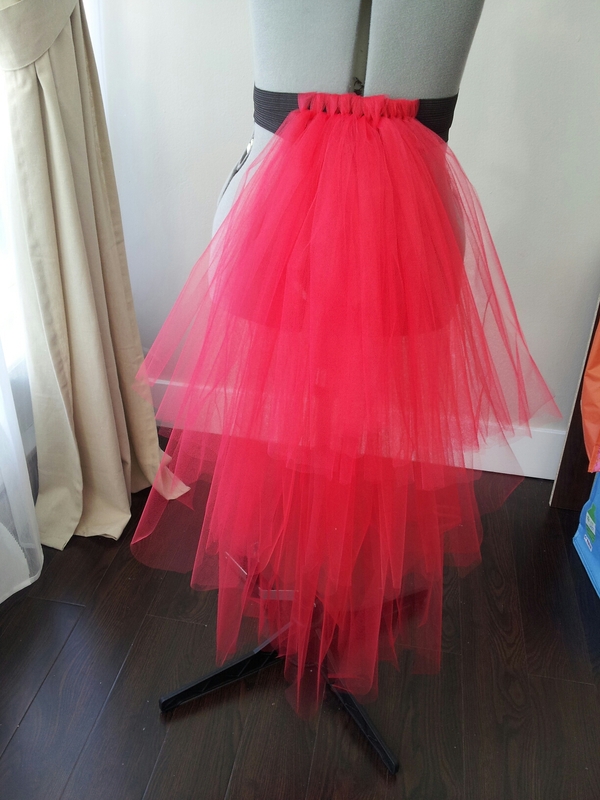 I first created three layers of tulle by attaching it on the mannequin using elastic. This gave me an idea of how to create the shape of the bustle I wanted as well as manage volume. I also added some trims to her ready made corset down the sides and made a matching garter to add some more flare to this already fierce outfit. She was very happy with that and it completed the look. Also to enclose the layers of Tulle I used a double sided folded satin ribbon to form the belt. A few days later here goes the finished product…..She loved it!! I added some pearls to accessorize this number! Happy Birthday girl. Just keep sewing….the sewing chronicles continue. Previous postFall Fall Fall!!! Scarves Scarves Scarves!!.. It’s here again! Next postFALL FEVER: The infinity is back!